Caitlin Brown, a now-senior nursing major, at Casino Night’s prize table in 2016. Some students were shocked when they heard of this year’s Casino Night budget. 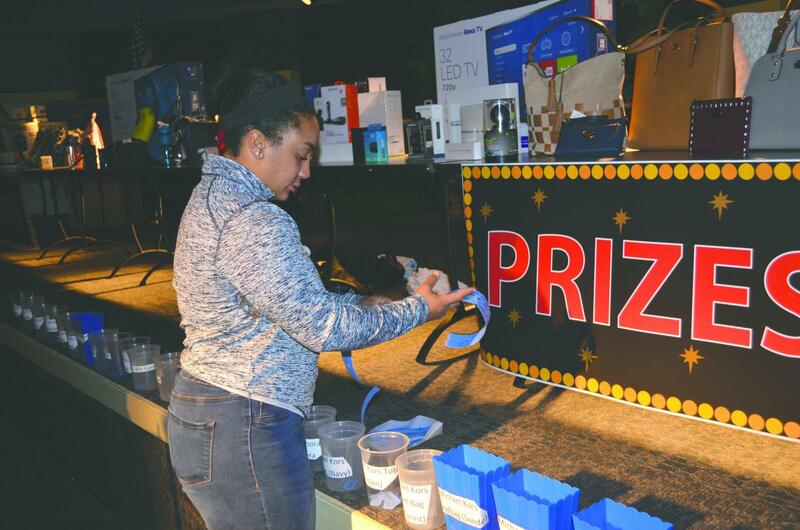 The event, which is sponsored each year by Student Government, is a week-long series of free events that includes faux gambling activities where students can win prizes. Casino Week has been a tradition by Student Government to bring the campus together by providing a space to play Texas Hold ’Em, Blackjack, bingo, and many other casino-themed games. At each event, tickets are given out to the winners who can later use those tickets for a drawing for different prizes on the last night. Such prizes in the past have been a PlayStation 4, Xbox One, MacBook Air, purses, make-up kits and more. This year’s budget sits at $12,385, which was approved by the Student Government at its weekly meeting on Wednesday, Oct. 24. Twenty-four members approved and 10 members opposed. Jordyn Williams, a junior English and theatre major was not only surprised by the high budget but also had some suggestions to lower the price of some of the prizes. “That is a quite a large number,” said Williams about the budget for prizes alone. “I understand giving out cool stuff is nice, but to help I would only do special prizes every once in a while. Jeremey Tomaine, Student Government executive treasurer, broke down the budget in detail. According to Tomaine, most of the money in the budget will be spent on prizes. “There will be around $9,000 or so being spent on prizes exclusively,” he explained. Prior to Casino Week, there will also be the Mega-Council Can Drive, an event where students can bring canned goods in exchange for tickets to be used during Casino Week. The event is sponsored by Student Government, Multicultural Student Coalition, Commuter Council and the Programming Board. This year students will also be receive a T-shirt, which the Student Government estimates will cost the group $2,000 for 350 t-shirts. According to Tomaine, Student Government plans to cover these costs through donations from departments around the university. Dr. Rhonda Rabbitt, the Dean of the School of Education, approached the Student Government, looking to sponsor a prize. Instead, the department will become a partner in the Mega-Council Can Drive. 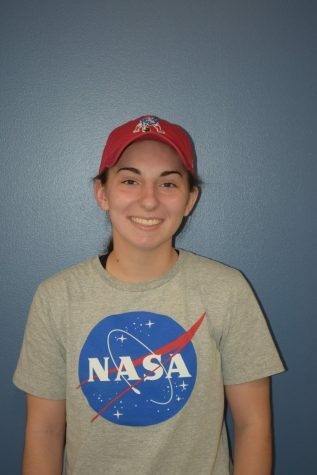 “I wanted to reach out to other deans to see if they would be interested in pledging money towards it, and so far the School of Education is the only one receptive to that idea,” Tomaine explained. If other departments do not agree to a partnership, the School of Education will continue with its donation. “All of the current partners get to say that they are partners during Casino Night. There will be a sign, which is also incentive for them to help donate,” Tomaine said. Any difference between what is collected from partners and the total of the actual T-shirts will be taken out of the $12,385 budget. Although some students are shocked by the high price of the event, the budget actually sits at $600 less than its past max budget. 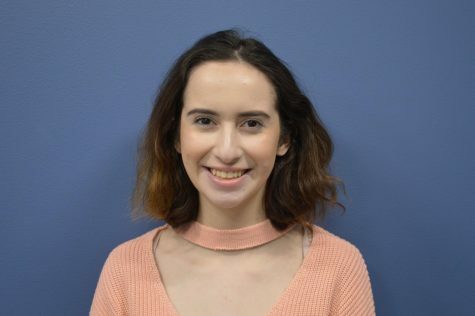 All of the money included in the $12,385 budget comes directly from the Student Government, which was given to the organization by the school through student activities fees. According to the 2017-2018 Factbook, the university spent around 15 million dollars in 2017 on student services, which includes money given to Student Government. This year, the organization also has donations from different companies, a first for the annual event according to Tomaine. “I reached out to Coca-Cola, and they are already giving us in-kind charity because of the new contract we signed with them. They are allowing Student Government to have 100 cases of whatever we want,” he said. The Wilkes-Barre/Scranton Penguins also donated items for the event after Student Government purchased a ticket package from the team. The event is not-for-profit, according to Tomaine. Although the price of the event is not at its highest budget ever, Tomaine understands the shock of the students. Other expenditures include food and decorations. According to Tomaine, at the 2018 Homecoming, $26,000 was spent by Student Government. Various students on campus reacted to this year’s budgets, specifically the portion of it spent on prizes. Junior neuroscience and psychology major Morgan Burton also reacted to the total budget of Casino Week. “I hope they have more prizes,” said Burton because of the budget.